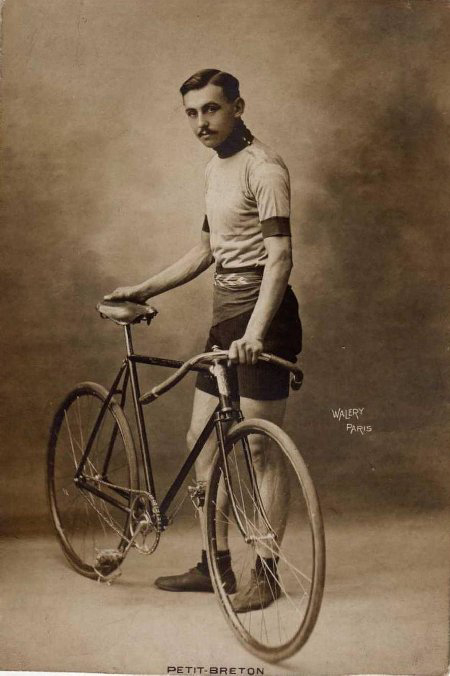 Born Lucien Georges Mazan, Lucien Petit-Breton (October 18, 1882 - December 20, 1917) was the first rider to win the Tour de France two years in a row. Born in France, his family emigrated to Argentina but Lucien returned to France in 1902. 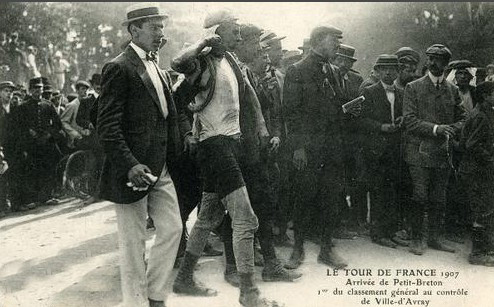 Because his father disapproved of a cycle racing career, he took the pseudonym Lucien Breton. 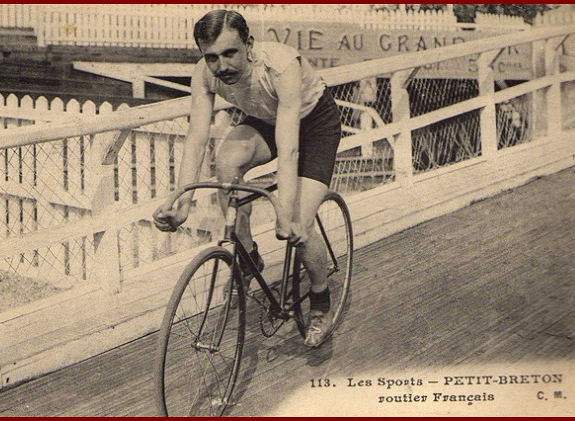 Finding that name had been taken, he changed it to Lucien Petit-Breton. 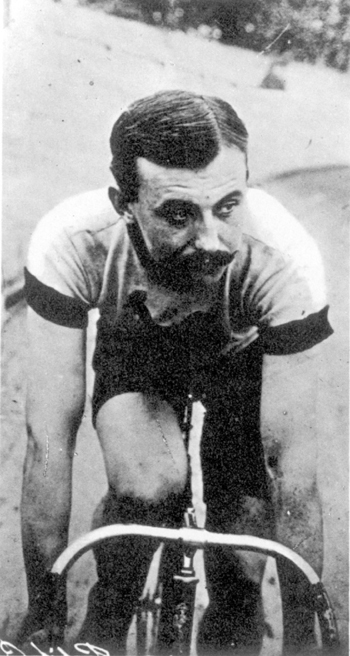 His initial success came on the track, he broke the World Hour Record in 1905. 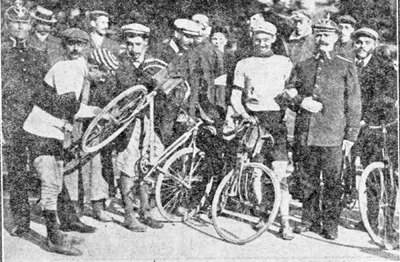 He won the 1907 Tour de France after race leader Emile Georget received a crippling penalty for an illegal bike change. 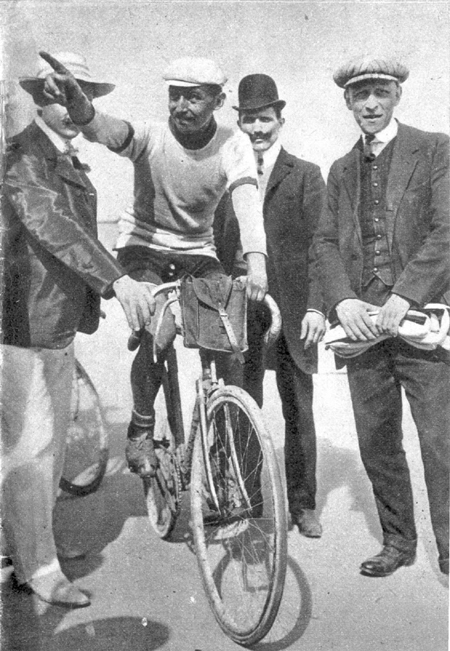 His 1908 victory was accomlished with stunning ease. “The best of the class. A superior man, of great class, a courageous and fair athlete; a perfect gentleman; a genial and kind man had won. After four hard-fought battles [the previous stages] he had proven that he was a strong man who could fight them all. This magnificent champion, truly an expression of the Latin race, had taken a triumph worthy of a hero. “The judgment of most is inadequate. The race route had long, hard climbs and difficult descents. 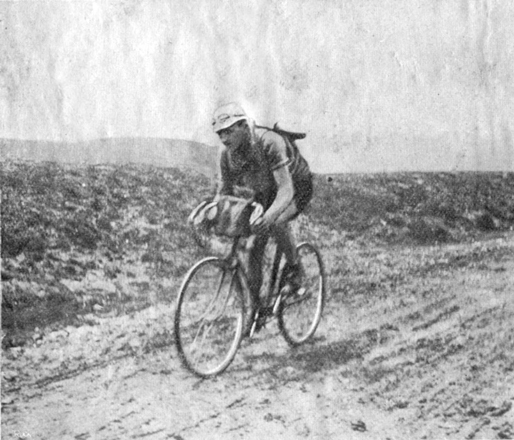 In the Mondovì–Turin stage he learned he was up against a coalition of the best Italian climbers. 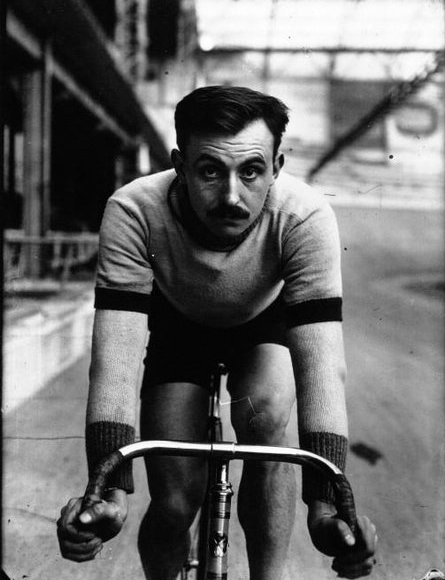 In one stage he also knew that his best defenses had come undone, going from first to last and had then in the final moment triumphed with a sprint worthy of a track champion. “His elegant silhouette, an attractive figure of a lord competing with dignity on the field of professional glory and money was saluted everywhere with true sporting enthusiasm. “The knight without blemish and without fear is fallen, gloriously fallen while battling.” (The last sentence is a reference to the great medieval French hero, Chevalier Bayard)"
Petit-Breton died in the First World War when a vehicle he was driving on a dark road crashed into a car. 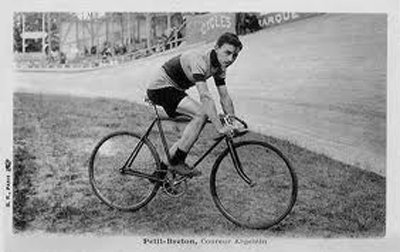 Petit-Breton was good on the track. 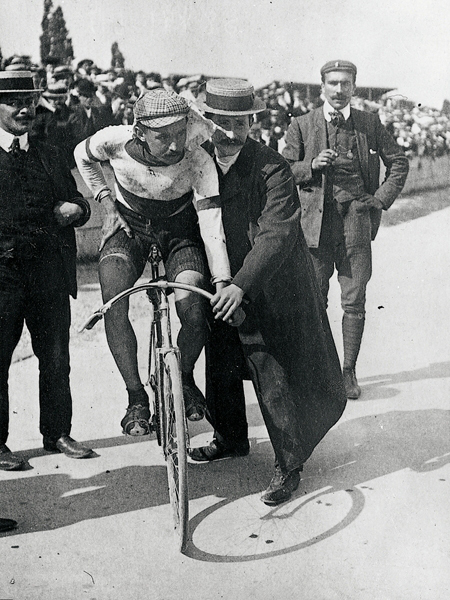 A century ago road racing was a dusty, dirty business. 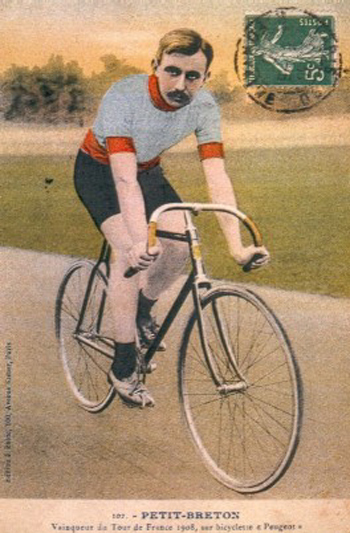 Post card printed after Petit-Breton's 1908 Tour win noting he rides a Peugeot. 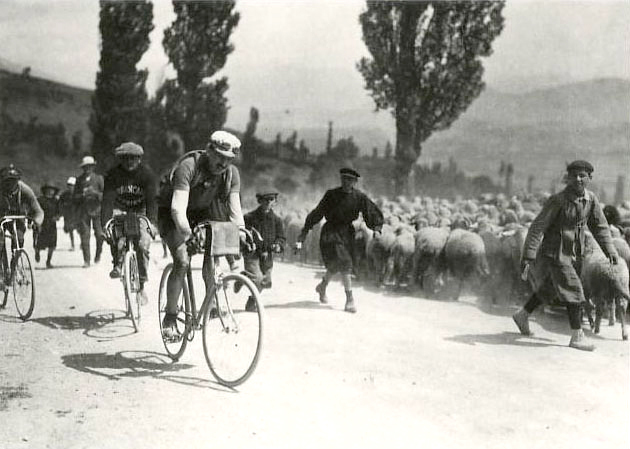 1913 Tour de France, stage 7: Petit-Breton climbs the Puymorens in the Pyrenees. 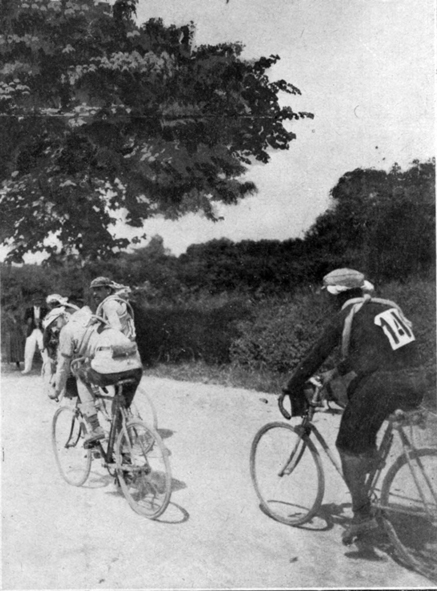 Petit-Breton in the 1913 Tour de France. 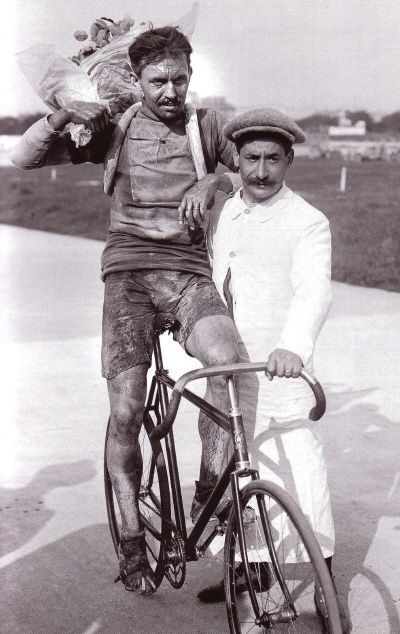 The bike he is riding in this picture is equipped with a Sturmey-Archer 3-speed hub.